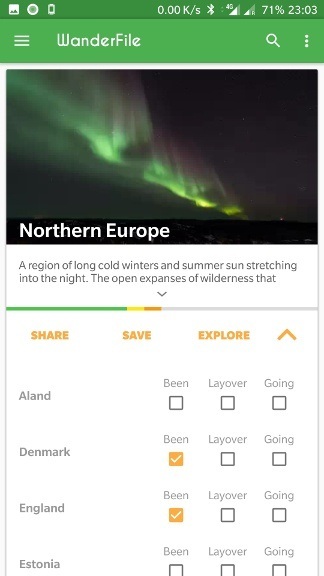 If you love to travel, and want to keep track of where you have been, then Wanderfile is the app for you. 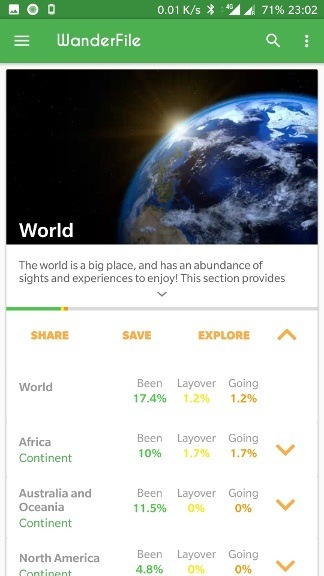 Wanderfile allows you to select the places you have been, layover on a flight or want to go in the future via interactive maps, organised lists or search. It also contains information for each country detailing typical costs, essential travel information and general interesting facts. 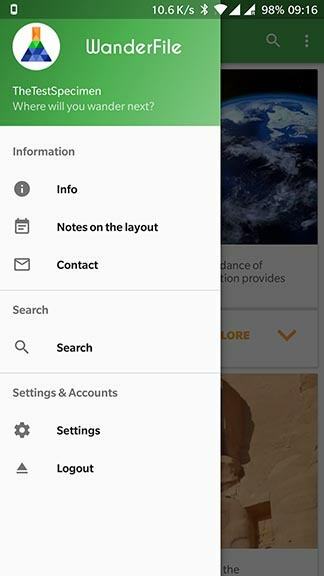 You can select the countries you have been to, and then save or share a multitude of maps. 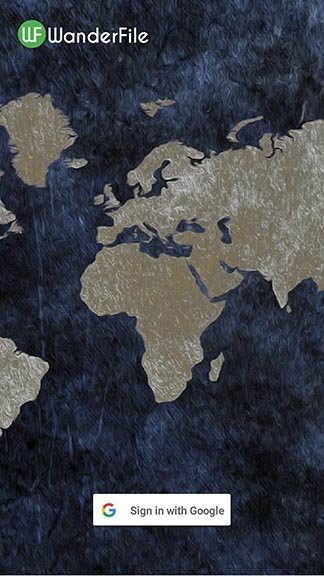 The globetrotters among you can take advantage of the world map, or maybe you just travelled Europe and you want a map for that? No problem, take advantage of the more localised Europe map (or any of the continents), or maybe narrow it down further to a specific area of Europe with the Northern Europe or Eastern Europe maps. 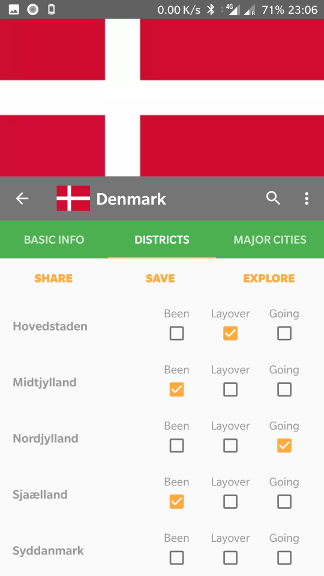 Not only can you record, save and share maps for countries, but you can do the same for the districts (counties, states etc.) 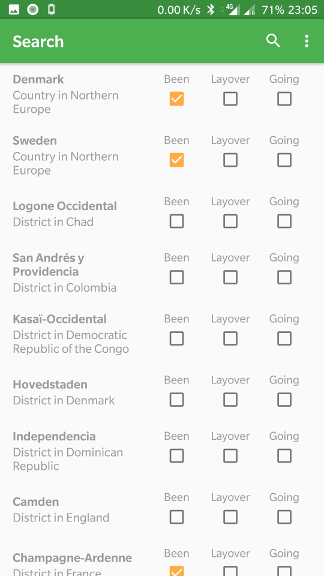 and major cities of every country included in the app (assuming the country actually has districts). 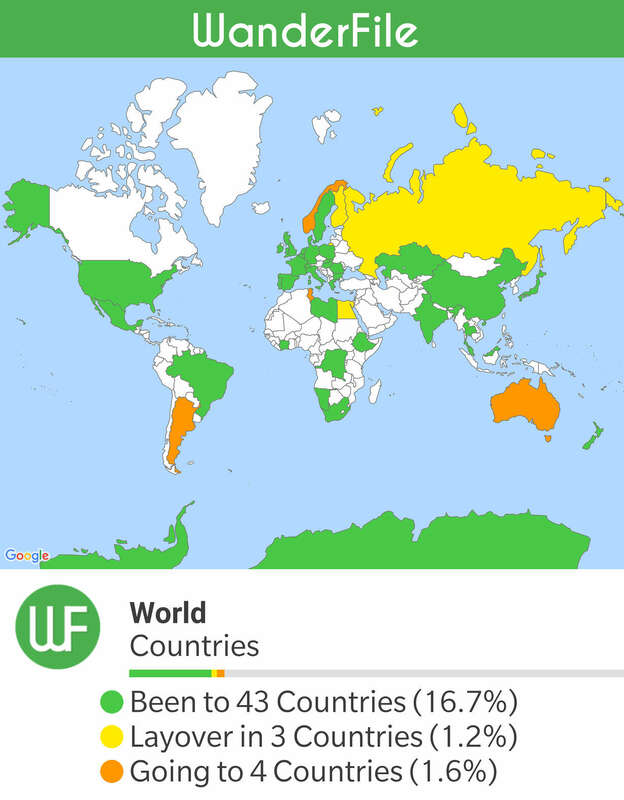 There are 258 countries included in the app. You can show each individually by showcasing it's districts or cities...or show all the countries at once on a world map...or break them down into smaller groups such as one of the 7 continents or any of the 25 smaller subregions! 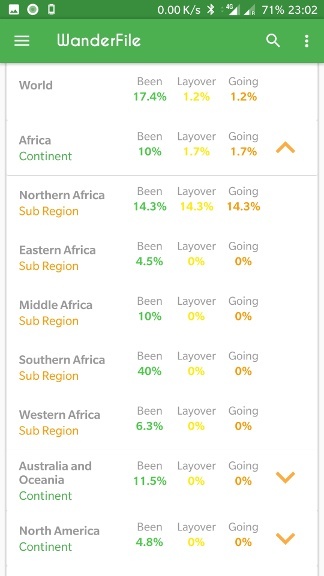 Once you have entered the countries you have been to, either through the provided lists, maps or search; you can then review the percentage of the World, continents and sub regions you have visited in the summary section contained in the drop down area of the World section on the front page. 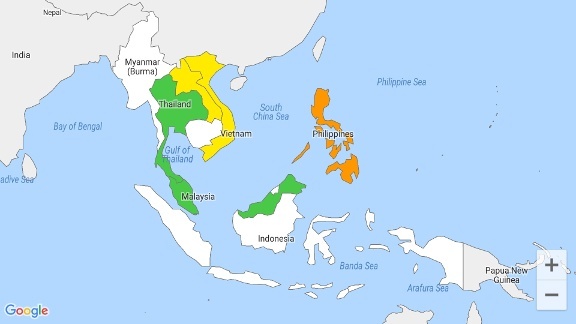 This section contains basic information about the country of interest. You can find information in this section for the categories below. 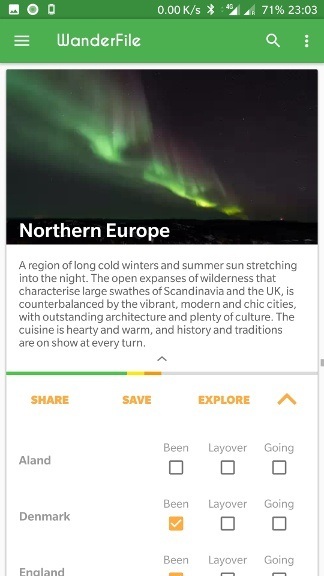 Click on any of the sections to reveal typical content for that section in the app. 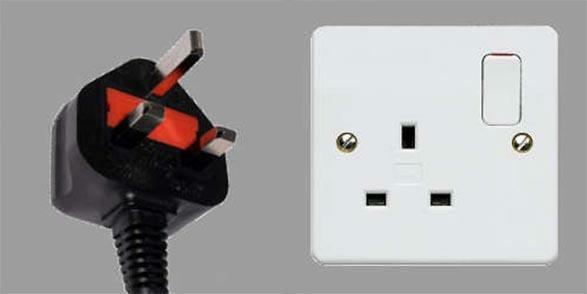 In this case the example country is England. Geographically England includes the central and southern two-thirds of the island of Great Britain, plus such offshore islands as the Isle of Wight and the Isles of Scilly. It is bordered by two other countries of the United Kingdom - to the north by Scotland and to the west by Wales. England is closer to the European continent than any other part of mainland Britain. It is separated from France by a 34Km sea gap, though the two countries are connected by the Channel Tunnel near Folkstone. England also has shores on the Irish Sea, North Sea and Atlantic Ocean. 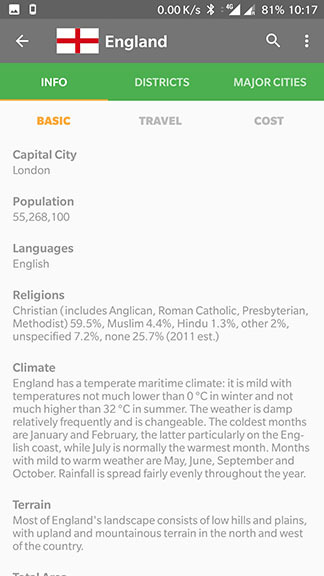 England has a temperate maritime climate: it is mild with temperatures not much lower than 0°C in winter and not much higher than 32°C in summer. The weather is damp relatively frequently and changeable. The coldest months are January and February, the latter particularly on the English coast, while July is normally the warmest month. Months with mild to warm weather are May, June, September and October. Rainfall is spread fairly evenly throughout the year. Most of England's landscape consists of low hills and plains, with upland and mountainous terrain in the north and west of the country. 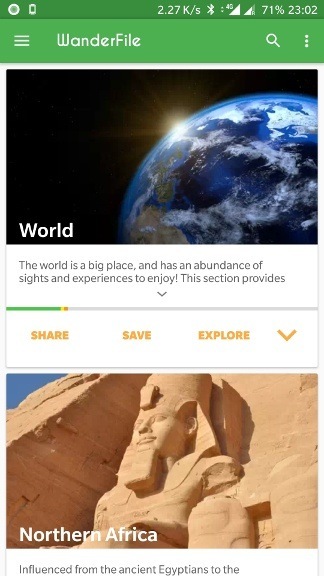 This section is designed to give you the relevant information that you will need to prepare for an upcoming trip or holiday. This country observes daylight savings time. This section is designed to give you the relevant everyday costs associated with the country of interest. This will allow you to plan ahead, and see what money you should realistically set aside. 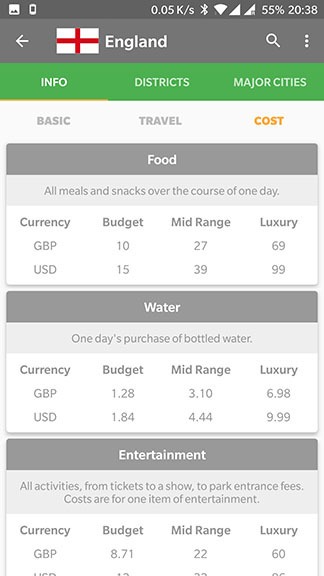 Each section includes costs for three different budgets: Budget, Mid Range and Luxury. 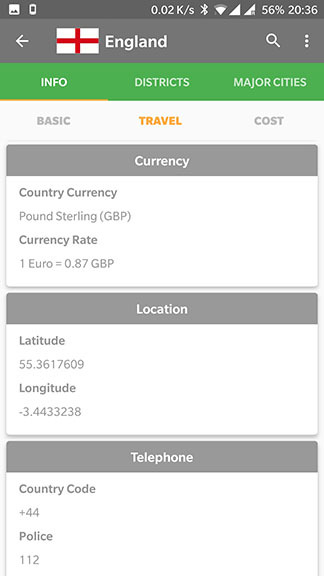 The app will also display all costs in both your home currency and the local currency, so you can get a grasp of conversion rates before hand. See the list below for the available categories, and click on any item to reveal what costs are included and whether they are per item or per day. The average daily cost per person, per day. 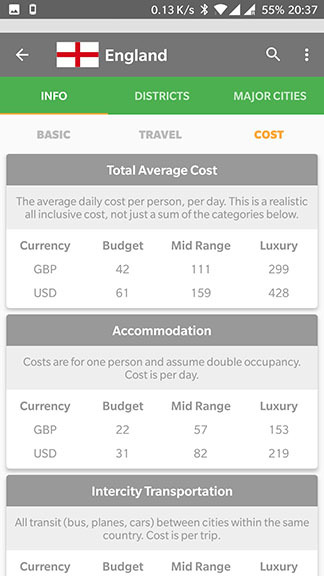 This is a realistic all inclusive cost, not just a sum of the categories below. Costs are for one person and assume double occupancy. Cost is per day. All transit (bus, planes, cars) between cities within the same country. Cost is per trip. Travel within one city, including taxi rides, public transit, and personal driving. Cost is per trip. All meals and snack over the course of one day. One day's purchase of bottled water. All activities, from tickets to a show, to park entrance fees. Costs are for one item of entertainment. All purchases from gifts to personal keepsakes. Cost is per item. Phone calls, internet access, or postage for a single day. Personal purchases from shampoo to laundry for a day. Alcoholic drinks for the day. Tips for guides or service providers. Costs are per tip. See below for examples of the maps you can share with your family and friends! 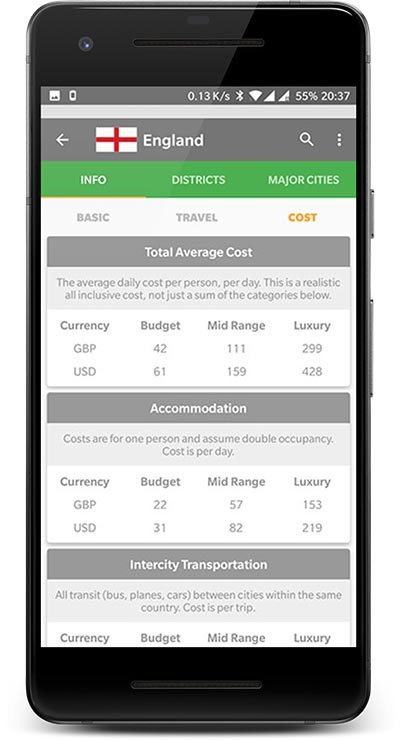 District maps are available for every country within the app. With the exception of places that are too small to have districts! 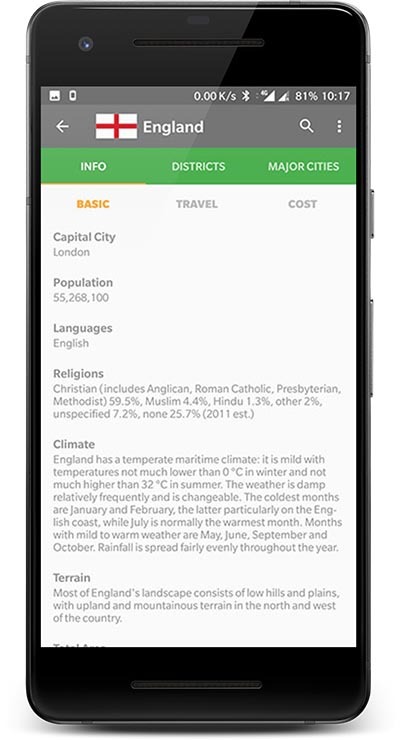 City maps are available for every country in the app. All major cities are included. If you log in with your google account you can take advantage of cloud backup, so you never have to worry about losing any of your data! 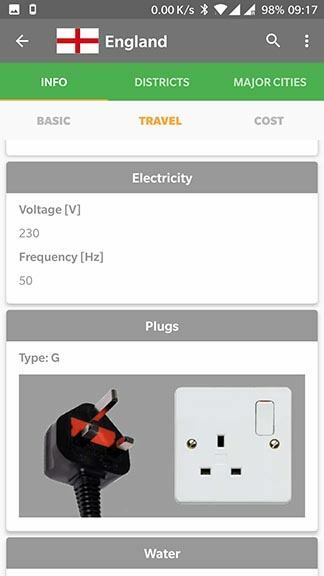 As you are using the app, the places you select will be automatically synced with our servers. 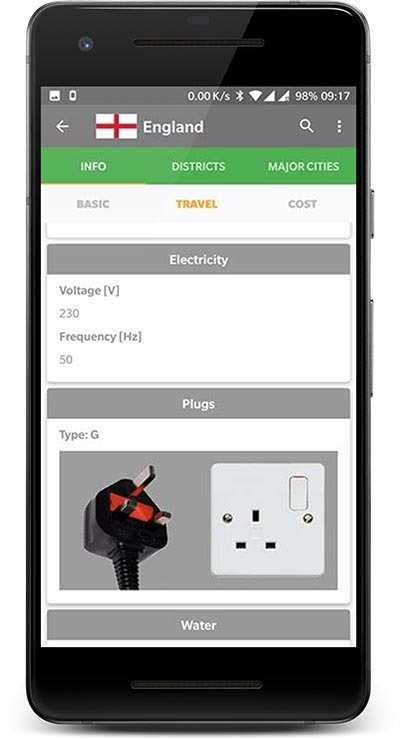 This will ensure that if you switch devices or lose your device, you can get all of your data loaded straight onto another device without going through the whole process again! Need to restart or want your data removed? If you want to reset your data to start again, or just remove your data forever, you can do it straight from the settings menu in the app with a couple of clicks. ALL your data will be purged from the app and our server. CAUTION: once you delete the data there is no way to retrieve it!